Think of Around the Rim as your local politicians would like for you to think of a town hall, a safe forum for all voices in the basketball universe to be heard. A stable roundtable, fluctuating in both voices and trendy issues. We’ve had over 350 unique contributors working at any and every outlet you can think of living all across the globe. Executive of the year: Who’s taking home the award? Iko: Jon Horst (Bucks). I believe in the Budenholzer Boost, and Giannis potentially adding that 3PT shot, in addition to the offseason perimeter-based moves and playing in the East should get the Bucks to 52 wins and a place in the second round. Anything more than that should be enough to get Horst serious recognition for Executive of the Year. I like the Bledsoe-Brogdon backcourt experiment, and don’t underestimate the power of spacing—Brook Lopez at the 5 and Giannis playing downhill should terrify defenses nightly. 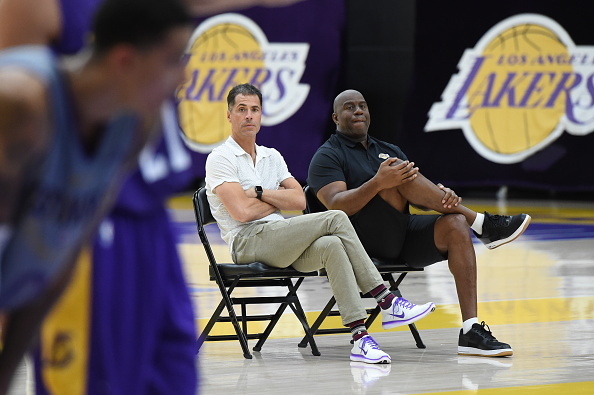 Lowman: Normally in any other year, Los Angeles Lakers President Magic Johnson and GM Rob Pelinka would have the inside track to the Executive of the Year trophy. If an executive lands the best free agent available, let alone a perennial MVP candidate, that should make the award theirs to lose, but the Lakers failed to build an adequate team around LeBron. 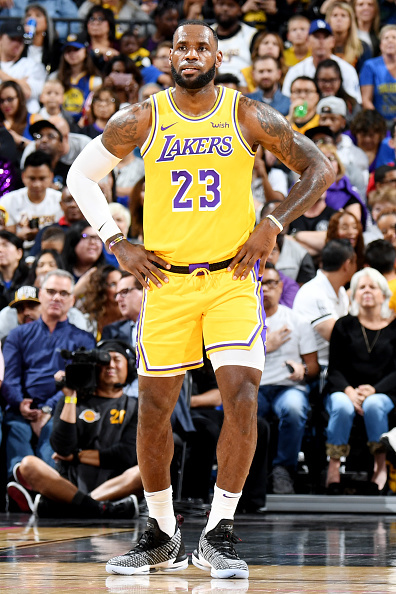 Unless there is significant improvement from the Laker’s young players or a in season trade—Rob Pelinka might have signed LeBron James only to waste away what could be the last year of his prime for a team that is not even one of the Western Conference’s top four teams. This award favors the bold. No one is bolder than Masai Ujiri, the President of the Toronto Raptors. 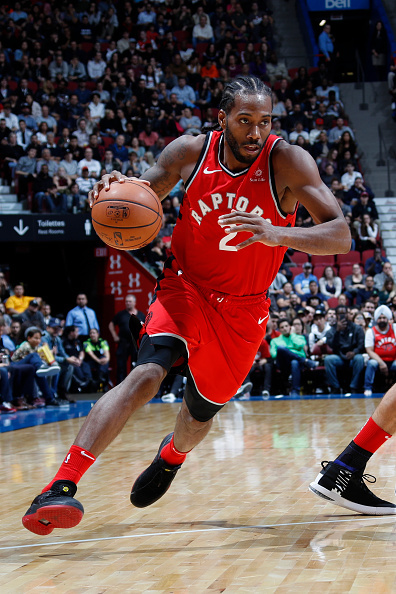 He fired the would-be Coach of the Year Dwayne Casey, hired his replacement from in house, jettisoned Toronto fixture DeMar DeRozan for an MVP candidate in Kawhi Leonard. 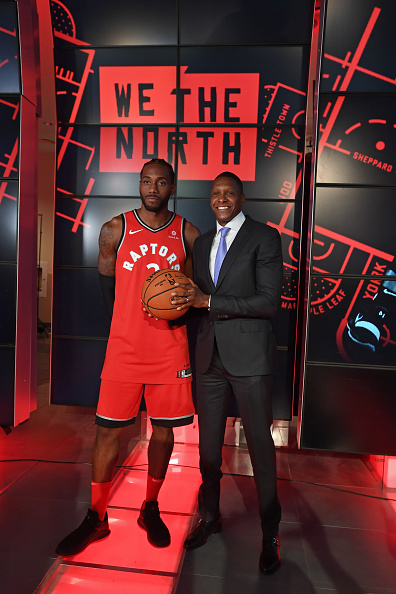 If Kawhi is healthy and the Raptors make it to the NBA Finals, a doable task now that there’s a power vacuum in the Eastern Conference, Ujiri’s big risk will have a big reward. 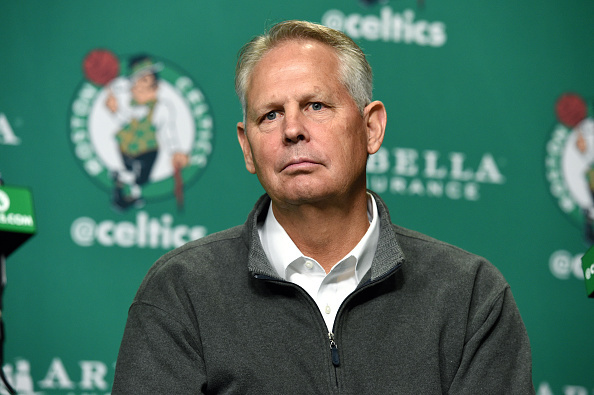 Morgan: Danny Ainge, Celtics: Just take a look at what Ainge has done in the past year. He was able to convince Gordon Hayward to leave Utah, he fleeced the Cavs in the Kyrie Irving-Isaiah Thomas trade, he drafted Jayson Tatum who looks to be the best player from his draft class, and he was able to develop Terry Rozier and Jaylen Brown into legit players. Besides the Warriors, the Celtics easily have the best roster. And they are arguably deeper than any team in the League. Everything will come together for the Celtics this year. Irving and Hayward return healthy and the young duo of Tatum and Brown should continue to take strides. And it’s all thanks to Ainge. Gone are the days that he is mocked for holding onto his assets for too long. It turns out he knew what he was doing all along. If the Celtics are what we believe they will be, Ainge should win his second Executive of the Year award. Paige: Rob Pelinka. This year wasn’t an exciting offseason, especially compared to last year. The main highlights were LeBron’s decision to join the Lakers and the lousy Kawhi Leonard-DeMar Derozan trade between the Raptors and Spurs that didn’t make sense. Unless there’s some crazy trade before the deadline in February, it’ll be hard choosing an executive of the year this season. However, because of LeBron, the Lakers are the only team whose chances have increased to become a solid contender in the league. While it isn’t likely that the team will make the Finals, LeBron joining the team instantly makes them 10 times better than what they were last season and re-merge themselves in the spotlight. And Rob Pelinka is heavily responsible for that. Coach of the Year: Who takes the award? Paige: Brett Brown. With LeBron James out of the Eastern Conference, the Philadelphia 76ers have a lot to prove this season. 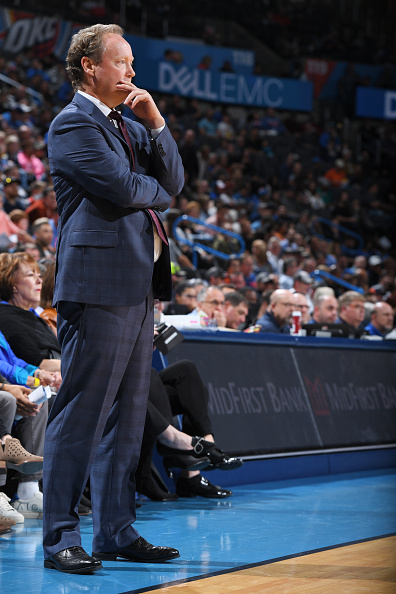 After unsuccessful attempts of rebuilding the team and “trusting the process”, Brown was able to lead the Sixers to their first playoff appearance since 2011 last season , and they finished third place in the East, with a record of 52-30. With all of the energy surrounding Embiid and the Sixers, it’s hard to see them lose that momentum and not improve from last season. It’s likely that Brown will take full advantage of there being less competition in the East. Iko: Mike Budenholzer (see above). The work he did in Atlanta was phenomenal, and being able to work with a better roster from top to bottom should yield better results. Not literally in terms of reaching 60 wins, but this Bucks team should be a more fluid unit. Coach Bud will have fun working with different lineups—going small with Bledsoe/Brogdon/Snell/Middleton/Giannis, 5-out when Lopez is in, or even some freaky deeky lineups with Giannis at the point. 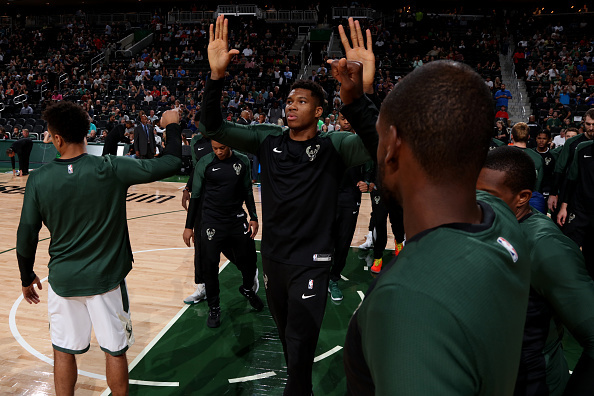 The Bucks have their best shot in years at making some serious headway in the Eastern Conference and need to if they want to have Giannis stick around for years to come. Lowman: This award normally goes to coaches who maximize the talent of a squad not expected to do much or who can develop the untapped potential of a underperforming yet talented team. What’s interesting is Mike Budenholzer has already been the recipient of the Coach of the Year award for maximizing the talent of a squad not expected to do much when he was in Atlanta. Now he has the chance to win it again by developing the untapped potential of an underperforming yet talented team. In basketball circles, many have wondered what would happen if the Bucks had a capable coach at the wheel. With Budenholzer, the Bucks no longer have to imagine. He was born out of the Gregg Popovich coaching tree, and from Budenholzer has sprung Utah’s Quin Snyder who begat Phoenix’s new head coach Igor Kokoskov. All these coaches are known for their ability to bleed every last bit of development and potential from the densest of NBA rocks. The NBA has seen what Budenholzer did with an Atlanta Hawks team whose best players were Jeff Teague, Paul Millsap and Al Horford. He coached that team to 60 wins. Now Budenholzer has been given the gift of a team that has Giannis, Khris Middleton, Eric Bledsoe, Brook Lopez, and Malcom Brogdon. This Bucks team is going to become an absolute terror to deal with and it’ll be the direct result of the capable hands this roster now finds itself. 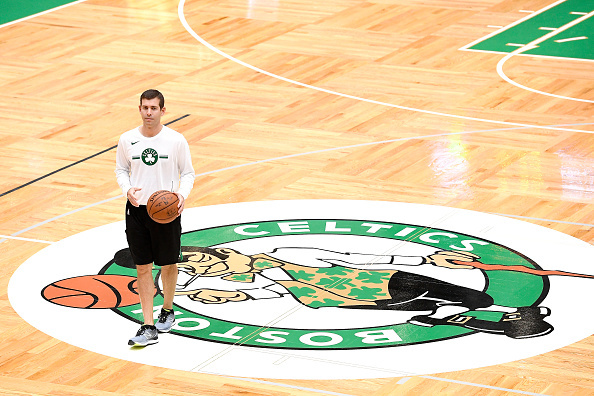 Morgan: Brad Stevens, Celtics. Can we all admit how ridiculous it is that Stevens has yet to win this award? If not for Kyrie Irving missing significant time with injuries last season, Stevens probably wins his first COY award. He was the favorite before the injuries hit and Toronto went on their tear. Though after another Raptors playoff collapse, people realized that maybe Stevens was most deserving candidate after all. We all know what he does so well. The players love him, he’s a wizard out of timeouts and he gets maximum effort from his young guys. With Irving back to full health and Gordon Hayward returning from his ankle injury, the Celtics are the favorites to win the East. Winning close to 60 games, going to a third straight conference finals and possibly meeting the Warriors in the finals should be enough for Stevens to finally win COY. Sixth Man of the Year: Who is winning it? Morgan: Lou Williams, Clippers: I had some trouble with this one. There are so many guys who can come off the bench and fill it up that choosing just one is difficult. 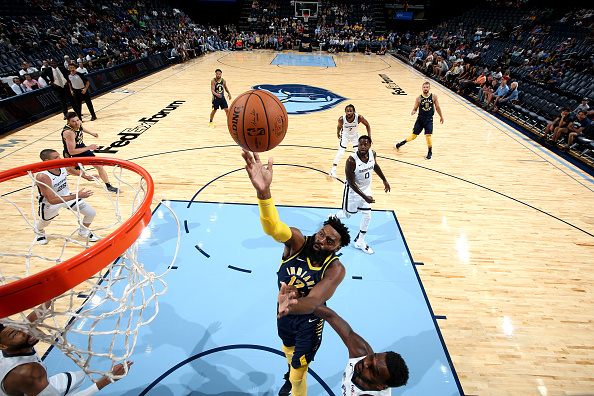 Everyone seems to be in love with the Tyreke Evans signing in Indiana. And while I think Evans is certainly an upgrade over Lance Stephenson, I’m not convinced that the Pacers will be as good as most think they will be. No one played harder than the Pacers last year. And its surprised people. They won’t be sneaking up on anyone this year. Which is why I think Lou Williams will repeat as Sixth Man of the Year. Williams is coming off a career year and the Clippers will need his scoring to compete for a playoff spot. 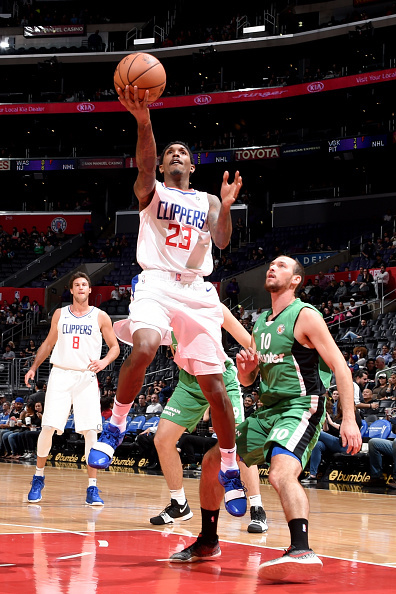 With Avery Bradley, Patrick Beverley and Shai Gilgeous-Alexander getting significant playing time, the Clippers will need a guard who is more offensively inclined. I expect Williams to have a very similar year to the one he had last year while he tries to drag the Clippers to a top eight spot in the West. Paige: Marcus Smart. If there was one highlight out of the Celtics’ injury-plagued year last season, it was Marcus Smart. He proved himself during the playoffs by being able to knock down some crucial shots for his team, especially during the Finals. He plays with so much passion and energy, and those things alone have helped the Celtics when they were desperate for fourth-quarter points. His three-pointer has grown to be reliable, and I’m sure that he’ll only improve during this season. Iko: I’m split between Tyreke Evans and Kyle Kuzma. I lean towards Evans given that the Pacers will end up with more wins than the Lakers. This was one of the more underrated moves of the summer, and once he gets over his nagging ankle should hit the ground running. He gives Indiana a legitimate force off the bench, almost akin to Eric Gordon in Houston. Another guy that can handle the ball, score at all three levels, and defend. Indiana can run some three-guard lineups with Collison-Oladipo-Evans that can get them back in games or stretch leads from 5 to 15. 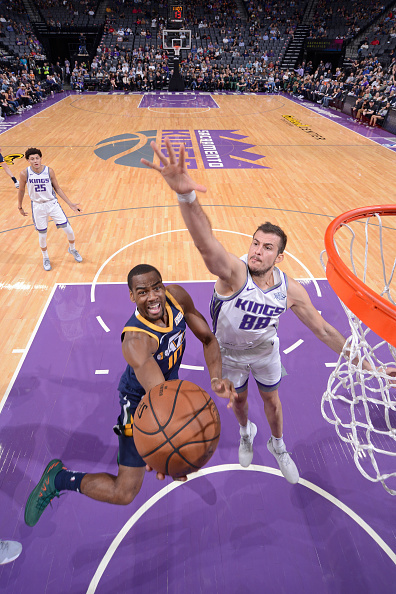 Lowman: While there’s talk of Lou Williams winning his third Sixth Man of the Year trophy, this year will feature a new face: Alec Burks. I think there’ll be serious competition with a new guard of bench assassins. By the end of the year, I believe Boban Marjanovic, Julius Randle and Alec Burks will all be in contention. In addition, “Scary Terry” Rozier will most certainly be in the mix as well. But the preseason has given us some hints. Boban has posted an insane per 36 minutes average of 44 points and 22 rebounds. At some point, the Clippers will have to start him taking him out. Randle and Burks will keep their roles off the bench due to the competition ahead of them (Anthony Davis and Donovan Mitchell). They both can get buckets and are on a mission to prove something. Burks is in a contract year looking to prove he is worth another contract. Randle is out there to prove the Lakers wrong. In the end, this award normally goes to guards who can light it up in a hurry. Burks in preseason has a per 36 minutes average of 25 PPG, 8 RPG, 5 APG. He started to display that toward the end of last season and in the series against Houston. Burks may not be on many people’s Sixth Man radar, but he’s a good dark horse candidate for the award this year. Most Improved Player of the Year: Who is going to win this? Morgan: Brandon Ingram, Lakers. The time to hop on the Ingram bandwagon is now. Because it’s getting pretty crowded. The arrival of James should impact Ingram in a very positive way. With James at the helm, Ingram will be getting looks that he has not had in his first two years in the league. There is a reason that the Lakers refused to offer Ingram for Kawhi Leonard. He has the potential to be a star in the NBA very soon. His sophomore season was a big improvement from his rookie year. He averaged 16.1 points (up from 9.4 in his rookie year), 5.3 rebounds (up from 4.0) and 3.9 assists (up from 2.1) on 47 percent shooting from the floor. 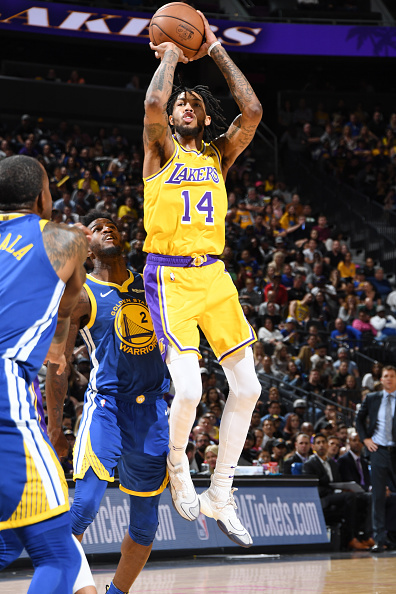 Ingram’s shooting and scoring should all increase in his third season. We will also get to see how Ingram performs in meaningful games for the first time. Lowman: Can Giannis Antetokounmpo win this a second time? Probably not, but his improvement with a coach like Mike Budenholzer is going to take his game to a new level. This award tends to favor sophomores who took the leap in year two that many expected in year one like CJ McCollum, or those who took an unexpected leap forward that were assumed a bust like Victor Oladipo. There are a few candidates this season that fit that profile and have the opportunity. There is Brandon Ingram in Los Angeles, who while not a second year player in the NBA, has made steady improvements and could accelerate his development with LeBron. There’s Dante Exum in Utah who just by being healthy could remind the League of his massive potential. There’s Aaron Gordon in Orlando who before his injuries was looking like the prototypical stretch four. I think Aaron Gordon for that reason and the exceedingly low expectations for the Orlando Magic will be the NBA’s Most Improved Player of the Year—if he can stay healthy. Paige: Giannis Antetokounmpo. It’s hard not to pick Giannis as this year’s Most Improved Player when he’s already dropping a triple-double in only 25 minutes of playing during the preseason. That feat alone makes me excited of what’s to come during the regular season because the way he accomplished it with so much ease lets me know that it’s likely to happen again during the regular season. And with new leadership (former Hawks’ coach Mike Budenholzer, who has more postseason experience), it’s likely that Antetokounmpo will flourish and become more of the building block for the young Bucks team that lacked consistency while under Jason Kidd’s guidance. While it isn’t clear if Antetokounmpo’s three-point shooting will increase (he averages about 30 percent from deep), it’s likely that he’ll become more confident in shooting from that range with Budenholzer, who’s known for his offensive schemes. Iko: D’Angelo Russell. 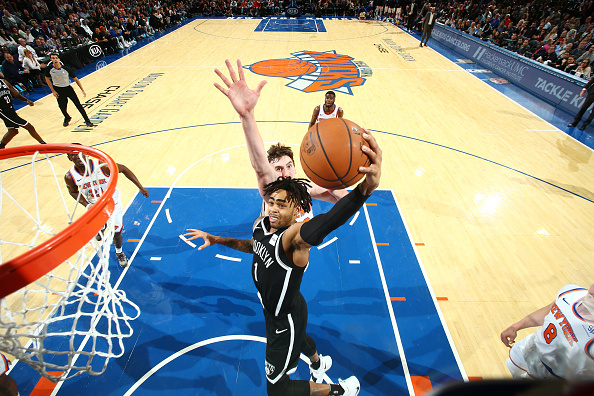 Health is obviously the biggest factor, but he has all the tools to put up big numbers for Brooklyn on a consistent basis. He talked during Summer League how he needs to show the city and its fans what he can do over a full season, and rightly so. Their 2017-18 season was better than most expected including Vegas, can they take another leap forward? Russell will be a big part of the reason either way. Rookie of the Year: Who do you have? Iko: Luka Doncic. The hype is very real. #ItsJustPreseason but Luka Doncic looked pretty comfortable on the floor with his colleagues, able to run a halfcourt offense and share ball time with Dennis Smith Jr. DeAndre Jordan might not have to go very far to find a new resident for Lob City. He’ll have to fend off competition from Deandre Ayton, who should be the No. 2 guy all year. Somewhere down the line a narrative will be drawn for each of them, but Luka has a higher ceiling for team success this year and possibly in the future. Lowman: This is Luka Doncic‘s award to lose. He has already bested better competition in Europe than any found in a collegiate gym. He already knows what it takes to be a professional on a night in and night out basis. He plays on the perimeter, so he will have the ball in his hands with an opportunity to make plays. While Deandre Ayton was a beast in preseason, he will have to rely on perimeter guards such as Ellie Okobo, Troy Daniels and Isaiah Canaan to feed him the rock. While Devin Booker will be out there playing the playmaking wing wing in an offense that should resemble Utah’s due to head coach Igor Kokoskov moving from the Jazz to the Suns, this team is learning a new offense with a roster not brimming with a lot of elite talent. Luka gets to work with another guard on the perimeter in Dennis Smith Jr. who is talented and has an elite rim chaser in Deandre Jordan that will make life easy for Doncic in pick-and-roll situations, his strength. Morgan: Deandre Ayton, Suns: I see this year’s ROY race being very similar to last seasons. Ben Simmons and Donovan Mitchell were neck and neck all year long before Simmons squeaked by. Ayton and the Mavericks Luca Doncic will be the two favorites to win the award. Ayton will be playing for a bad Suns team which will increase his touches. He averaged 17.5 points per game and 8.5 rebounds in the preseason and the Suns should continue to lean on him during the regular season. Ayton may be on the rare players that projects better at the NBA level than college. He’s big, he’s fast and he’s very skilled. Sean Miller was unable to unleash him offensively. The NBA style of play should allow Ayton to put up some big numbers in his rookie season. Paige: Luka Doncic. 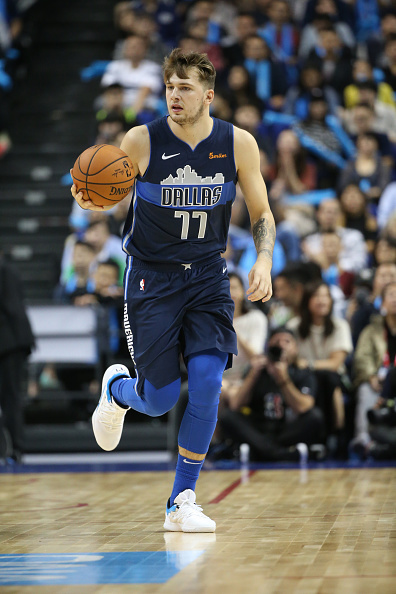 The Mavericks were the clear winner from the year’s draft when they received Doncic from the Hawks via trade. He’s an all-around player who plays as if he’s been in the the NBA for eight years. His playmaking decisions really show off his basketball IQ, which is expected considering that he played with Real Madrid for four years before being drafted. That advantage over the other rookies is the main reason why he’ll likely win Rookie of the Year. Defensive Player of the Year: Who gets it? Paige: Anthony Davis. Davis is one of the most dominant players in the League. On both ends of the floor, he’s continuously proven why he should be next to take the throne as the best player in the League. That’s why he’s continuously been a candidate for both MVP and Defensive Player, and he has a legitimate shot at winning the former. Davis’ ability to dominate both ends of the floor really shined during the latter half of last season when his former teammate DeMarcus Cousins was injured. There was really nothing that Davis couldn’t do during that period, and his defense was a highlight. With Cousins gone for good, it’s certain that Davis’ defense will only get better. Iko: Clint Capela. Might be a bit of homerism, but I just feel like Capela has that next step to take in his development. He showed during the playoffs that he could be a consistent rim protector, but these awards aren’t won in April and May. You have to do it over an 82-game season, and I think this is the year he makes his mark on the NBA. 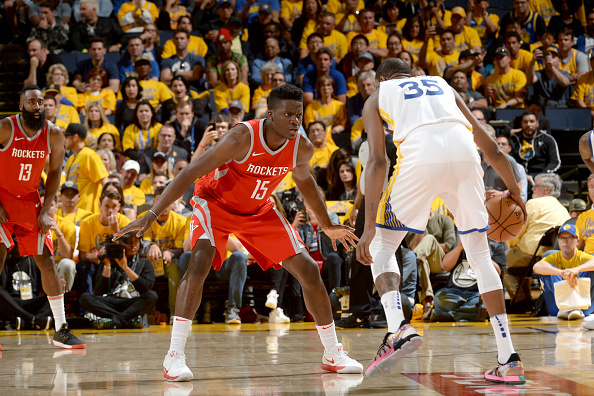 It’s become a bit of a league perception that he’s a system player, so it would behoove Capela to lay down his own territory as a defensive force. Another year playing with Chris Paul and James Harden should help in a big way. Lowman: With Kawhi Leonard healthy this season, defending Defensive Player of the Year Rudy Gobert will have some competition. But Kawhi Leonard will not have the benefit of the team execution afforded him by his past San Antonio teammates. This award is Rudy Gobert’s to lose. He has been one of the top two players ranked in defensive win shares per game for two straight seasons. When he is on the court, the Utah Jazz are a defensive nightmare. 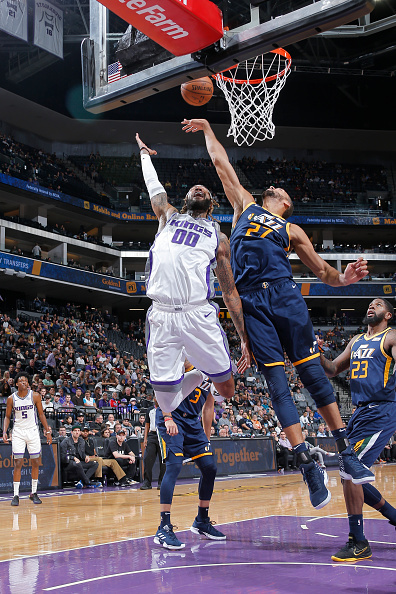 When Gobert returned from injury the Utah Jazz posted the league’s biggest net rating in the NBA with an insane defensive rating of 97.9. The next closest team? The Philadelphia 76ers at 103.1. Rudy Gobert is just 26 years old and entering his prime. Last year’s Defensive Player of the Year award could be the first of a trophy full for the Stifle Tower. 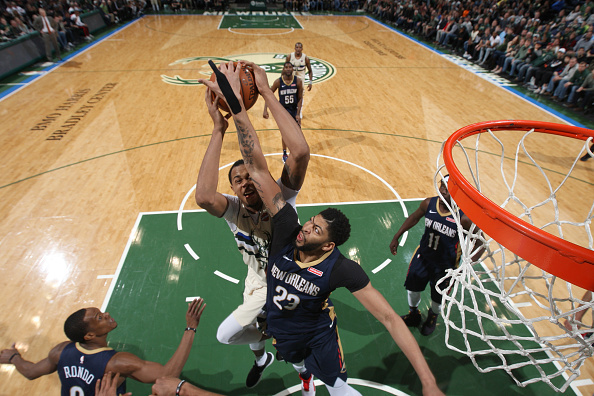 Morgan: Anthony Davis, Pelicans: Rudy Gobert will have something to say as he attempts to repeat as Defensive Player of the Year. But repeating is hard and I am still not convinced that the Jazz take a massive leap forward. Which brings us to Davis. It’s very frustrating to watch Davis play for a franchise that is unable to surround him with enough talent to truly compete in the West. I think because he plays on a team that is not competing for a title, we under value how great Davis truly is. We all know what he can do offensively. But he is also a force on the defensive end. His length and athleticism allow him to effect shots in the lane. The only roadblock I see for Davis will be that the Pelicans team defense could be subpar. Can Davis win an award when his team struggles defensively? I say yes. Gobert, Joel Embiid and Draymond Green will all make their case for this award. But Davis dominates in both facets of the game and wins his first Defensive Player of the Year. Most Valuable Player: Who takes it? Morgan: LeBron James, Lakers: Yes, I understand that it is incredibly cliché to say James should be MVP every year. But it’s true. No one does more for his team than James. Take a look at the Cavaliers roster from last year. It was filled with scrubs. And yet James was still able to drag them to another Finals appearance. It all comes down to your definition for MVP. I look at it as the player that most affects his team’s chances of winning. By that definition, the answer is James every year. 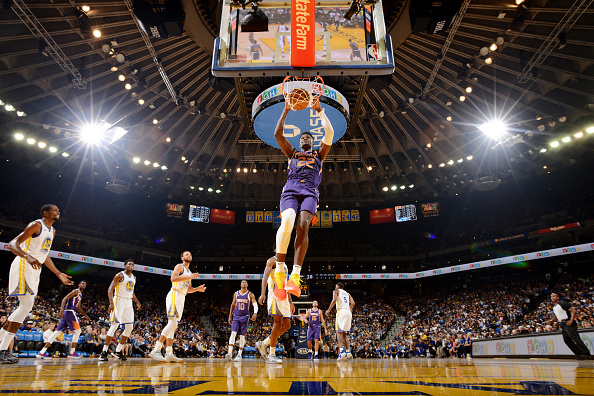 He will have more talent around him this year and having the bright lights of Los Angeles on him every night will certainly be a factor when the media votes. The Lakers will be in the mix for a top seed in the West and James will be the one leading the resurgence. There is a small part of me that thinks James is quietly writing down the names of everyone who thinks he came to LA for strictly non-basketball reasons. That’s dangerous for the rest of the League. Paige: LeBron James. LeBron is arguably the default for MVP every year because his value to whichever team he’s on is made blatantly clear whenever he sits on the bench. He has always been the type of player who could significantly enhance any team, and his absence from a game speaks volumes. Somehow, LeBron, who’ll be 34 in December, finds a way to improve in that regard as he ages. But this year is a bit different because he has more to prove. LeBron doesn’t have the benefit of being surrounded by players whose experiences in the League and abilities are remotely adjacent to his. By joining the young and inexperienced Lakers team during the offseason, he officially took on the role of being the team’s elder statesman. And he has to prove that he can use his talent and wisdom to guide them to the playoffs. It’s because of that stark difference between LeBron and his new teammates, along with his history with meeting expectations when under pressure, that I think his talents will ultimately be in the forefront this season. Iko: Giannis Antetokounmpo. I originally had Anthony Davis, but I think the Bucks will win more and Giannis seems to have gotten more confidence in his outside shot, at least going off of preseason. This is the year he needs to make serious headway both as a player and team-wise, it’s been one too many first-round exits. I think the Greek Freak is ready to lead a team deep in the playoffs, and if he averages anything like 27/5/5 and Milwaukee wins 50+, why not? Lowman: This year we have a good chance of seeing another new face taking home the MVP trophy (and this time they will not have been drafted by Sam Presti). 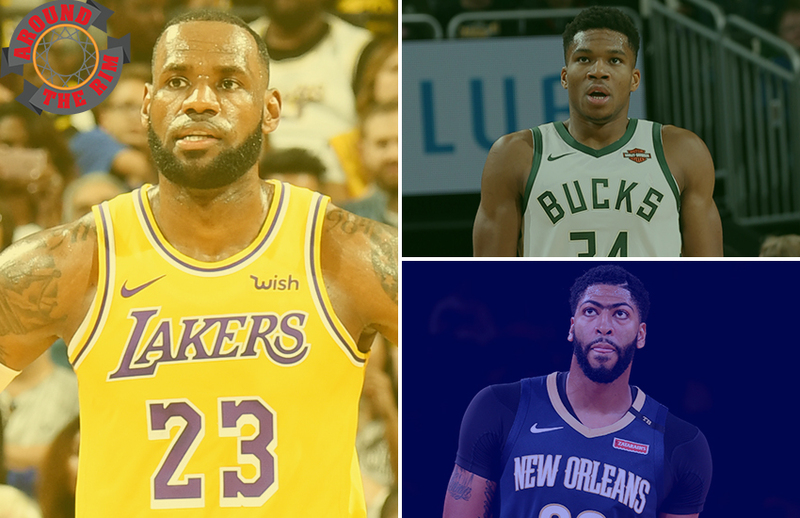 With LeBron James in a tougher conference, Kevin Durant’s usage rate down in Golden State, and voter fatigue bound to set in with James Harden, a (semi) new top three will emerge of Anthony Davis, Giannis Antetokounmpo, and Kawhi Leonard. Between those three, Kawhi Leonard has all the tools to put together an MVP season. If the Raptors repeat as the No. 1 seed with Kawhi Leonard leading the way, he will be the League’s MVP. He has already been in the MVP conversation before, finishing second in 2016. That means potential voters will be looking toward the North’s direction already for him to lead the way. Giannis will have an insane season, but the Bucks will have to really upset the apple cart in the East and really challenge the Celtics and Raptors in order to help Giannis garner MVP consideration. I believe Kawhi Leonard will be the Most Valuable Player after this season is all said and done.